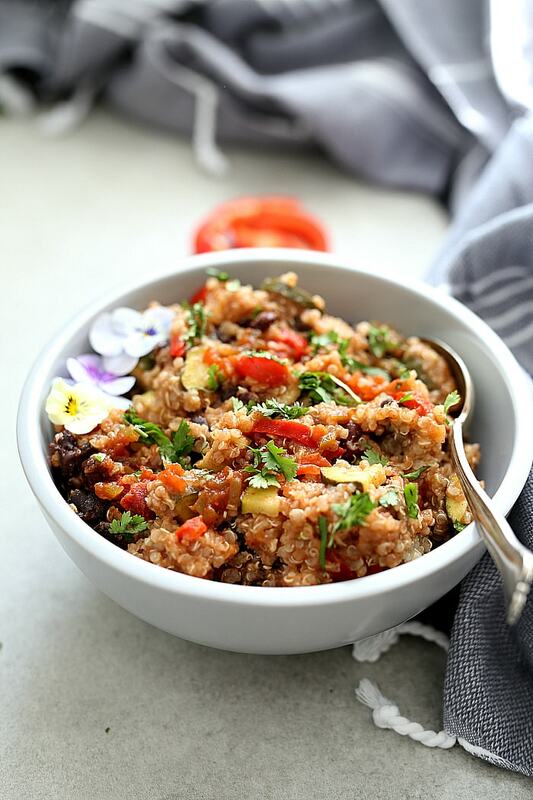 Slow cooker Mexican quinoa recipe that takes only minutes to put together. 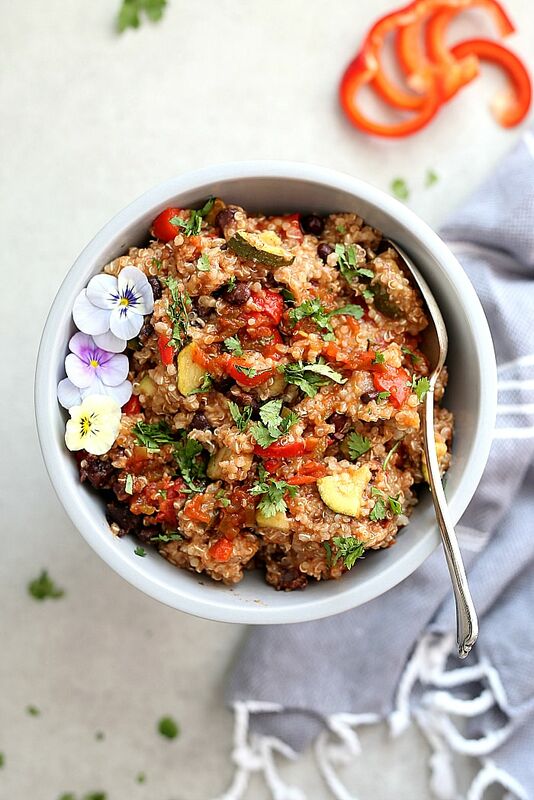 Hearty flavors of quinoa, black beans and vegetables embodied with tex mex spices that simmer a few hours in the crock pot and are ready to enjoy in the evening. 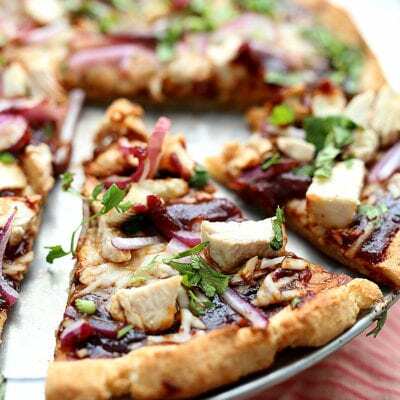 A stress-free vegan and gluten-free dinner waiting to be devoured! 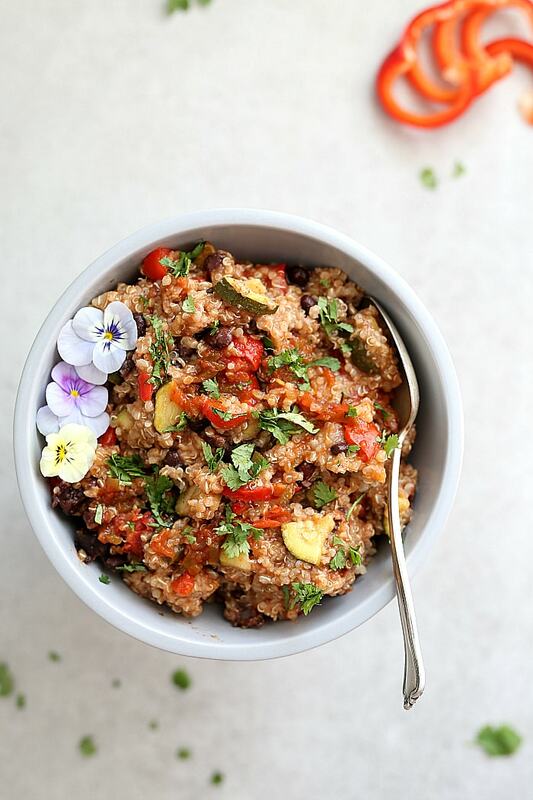 This is the easiest quinoa recipe! A complete dump and leave dish with little dishes. It works as a double meal too… serve this tex mex quinoa with chips and use leftovers in burritos for another night. When people talk about stress, the dictionary refers to any condition or situation that causes tension and strain to the body and mind. I don’t know about you, or where you are in life but I have been so stressed – for far too long. When I first had Curren, who is now one and a half, I was stressed over juggling a newborn, keeping up with household chores, taking care of the rest of my family and trying to grow my blog. Now the kids have more activities, bills are higher, mouths need to be fed, mounds of laundry are always waiting to be washed and folded, cards need to be sent, family photos to organize, and delicious recipes to document and share. I love every single part of it. Maybe I just wrote that to convince myself. Perhaps not. Then yesterday I was chatting with our new babysitter (yes, I finally hired someone two hours a week!!!! WHOOT, WHOOT!) and her stresses are quite different. She was telling me her college schedule of working two jobs, 15 hours of schooling and helping take care of children of a family that is battling cancer. It just goes to show that we all have our own things to juggle around, it’s just how we manage it. I don’t really think the solution is balance either. It is about juggling all the aspects in life to maintain a steady existence (or with less stress). To juggle it all it is super important to keep mental health in check, exercising regularly and maintain a healthy diet. Every day is a step in the right direction. I find when I focus on “balancing” these aspects, the stress is decreased tremendously. Diet also plays a critical role in helping to overcome stress. 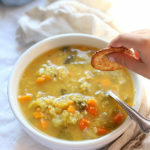 And a healthy slow cooker recipe can make a stressful day so much easier! We all have stresses in our lives, and it’s just a battle in each of us that we can conquer. I love using my slow cooker to make recipes like this Crock Pot BBQ Chicken Recipe and my Skinny Roasted Vegetable Quinoa Salad to save time when feeling stressed, plus it fuel my body with healthy protein and amino acids. Nutritional needs for the body to reduce stress are lots of healthy proteins. When the body is under such attack it needs fast energy. First stress attacks muscles and breaks down the protein as an energy source rather than fat. Eating lots of protein will help to prevent muscle wasting. Vegetarians have no fear! Great sources of protein come from quinoa, beans, lentils, tofu and other legumes. A balanced diet that provides ample vegetables and whole-grains compensates for any nutrients that get lost when the body is under stress. 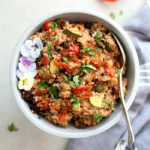 This crock pot Mexican quinoa bowl is a perfect balance of vegetables and whole-grains to refuel and nourish the body! 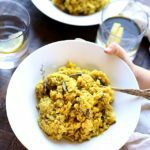 There are many easy quinoa recipes to find, but this is one of my favorites because it is so easy and healthy. Add some leafy greens and turn it into a quinoa salad or bake it loaded with cheese on top to become a Mexican casserole. 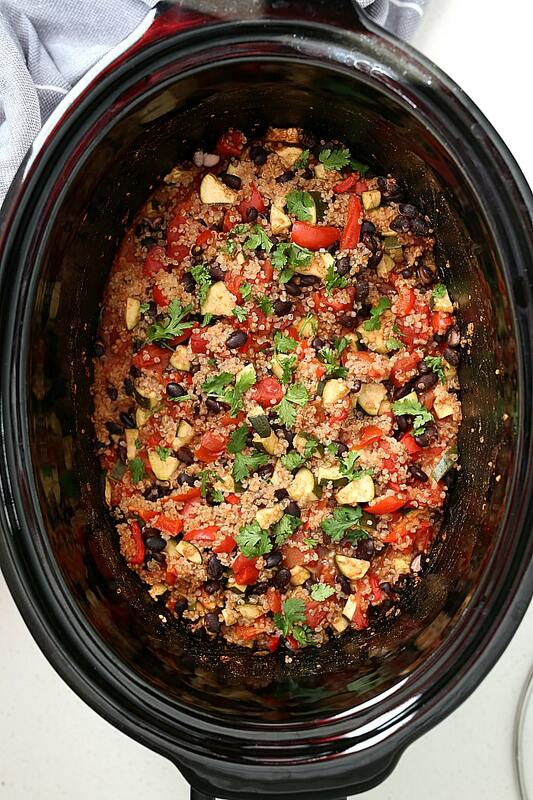 This slow cooker tex mex quinoa recipe has been my comfort food lately. 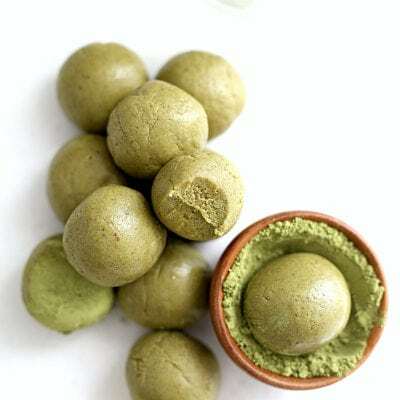 It is easily digested and packed with all of the vital nutrients the body needs. 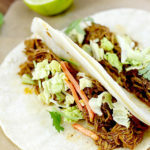 And the best thing is it only takes minutes to put together – then let the slow cooker do the work for you! 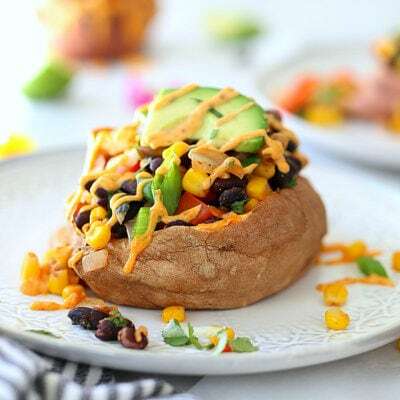 The outcome is this incredibly healthy vegan and vegetarian crock pot dinner recipe! I like to make a huge batch of this and use the left overs in tortillas for tacos smothered with cheese for another evening. We’ve discussed stress and that this dish is perfect to refuel the body. We all have stresses in our lives, and it’s just a battle in each of us that we can totally conquer. Really – I know you’ve got this! Quinoa: Quinoa is an excellent source of iron, magnesium, potassium, phosphorus, zinc, and other minerals. It is also a good source of B-complex vitamins and high in protein. Often classified as a grain, quinoa is actually a member of the same plant family as spinach. The tops of the quinoa plant are edible but we more often eat the grains. First rinse the grains before adding it to the crockpot. The moisture from the water absorbs into the grains and the outcome is a light and fluffy texture similar to couscous or rice. 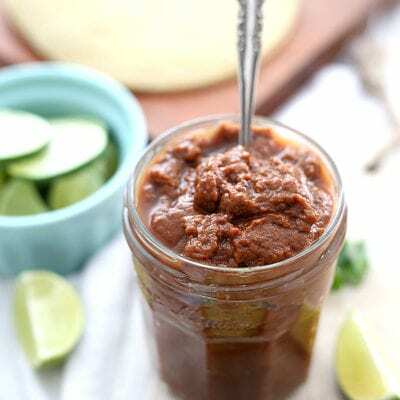 It is so easy to make, it can even be made in the slow cooker for breakfast. Black Beans: Beans are high in folate and vitamins A and C and protein and iron. I used canned black beans for this dish. If you want to use dry beans, soak and cook a large batch ahead of time and add to various dishes throughout the week. Peppers and Chilies: Peppers are such a delicious and amazing healthy snack! They are packed with vitamins A and C, fiber and water. And they are low in calories – win, win! Adding colorful red, yellow and orange peppers to this crockpot quinoa dish adds a delicious sweetness to compliment the taco seasoning. Sweet peppers are related to chilies, or hot peppers. ½ a cup has only 12 calories! Tomatoes: Tomatoes are another awesome source of vitamins A and C, folate and potassium. They are a packed with lycopene, an antioxidant that protects against some forms of cancer. Cooked tomatoes are the best way to get the body to absorb lycopene rather than eating them raw. But both raw or cooked are equally as delicious! Taco Seasoning: I used a package seasoning mix from Trader Joe’s which is pretty spicy. 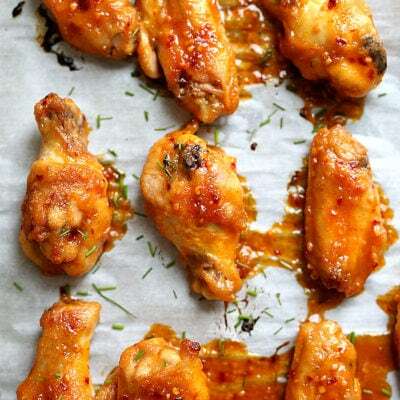 If you wish to eliminate that (or don’t care for spicy) go for it and just add a few sprinkles of cumin, garlic salt and pepper for flavor instead. 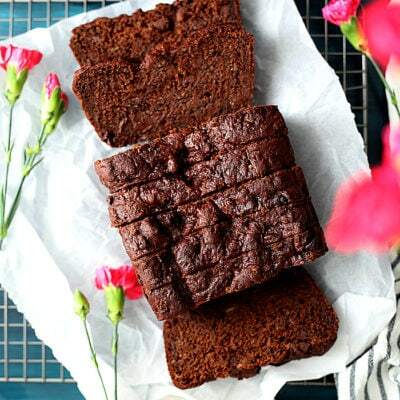 Zucchini: Low in calories- yay!!! A good source of fiber, vitamin A and C and folate. This delicious summer squash is made up of mostly water so is super low in calories. Be sure to keep the skins on them for full nutritional benefits. Cilantro or Coriander: Cilantro is one of those herbs that is incredibly good for the liver. It actually binds toxins and rids them from the body. The leaves enliven sauces and vegetable and poultry dishes. Fresh coriander leaves may be chewed to ease indigestion. Powering up on superfood bowls such as this quinoa Mexican dish greatly replenishes the body’s nutrients, especially when under stress. Let that slow cooker do all the work so you can enjoy this vegetarian dinner. Make a big batch though because the leftovers are just as good! In a slow cooker with the heat on low add dry and rinsed quinoa, beans, can of tomatoes, chopped peppers, diced zucchini, taco seasoning, garlic powder and water. Cook on low for 4-6 hours. Garnish with cilantro. Optional to add avocado, lime juice, green onions and cheese. This is delicious served with chips or use leftovers in burritos. Feel free to also add 1 small onion, chopped and fresh or frozen corn. I left it out for kids that might not like onion and to make it a corn free dish. Nutrition does not include seasoning packet and avocado or garnishes. Photos updated 11/2018. Recipe is the same. This is cooking in my crockpot now… It looks delicious! I can’t wait for dinner! I bought some quinoa the other day and I’ve been trying to figure out what to do with it. You just gave me the solution. This sounds yummy! I’m going to try it. Visiting from the Merry Monday Link Party. Awesome! 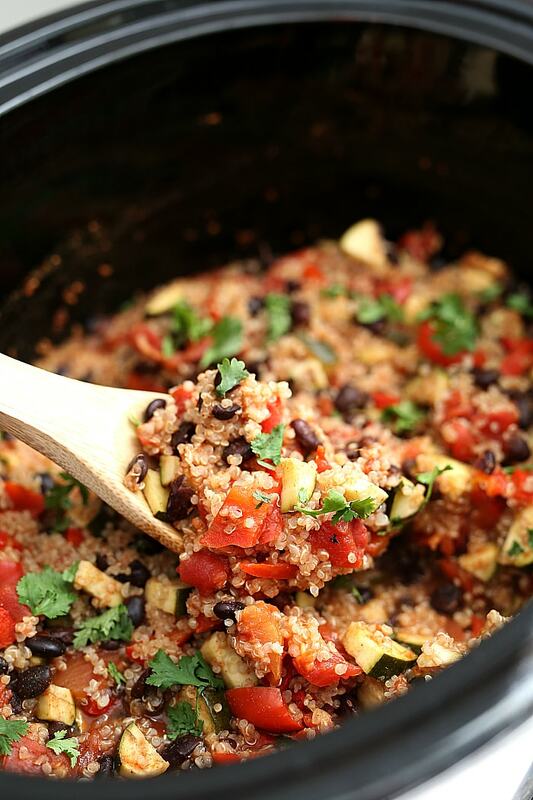 This is so easy that we make tex-mex quinoa ALL THE TIME~ Enjoy! Thank you for visiting! We make a dish very similar to this and absolutely love it! I’ve never tried it with fire-roasted tomatoes, though. Thanks for sharing with Merry Monday!